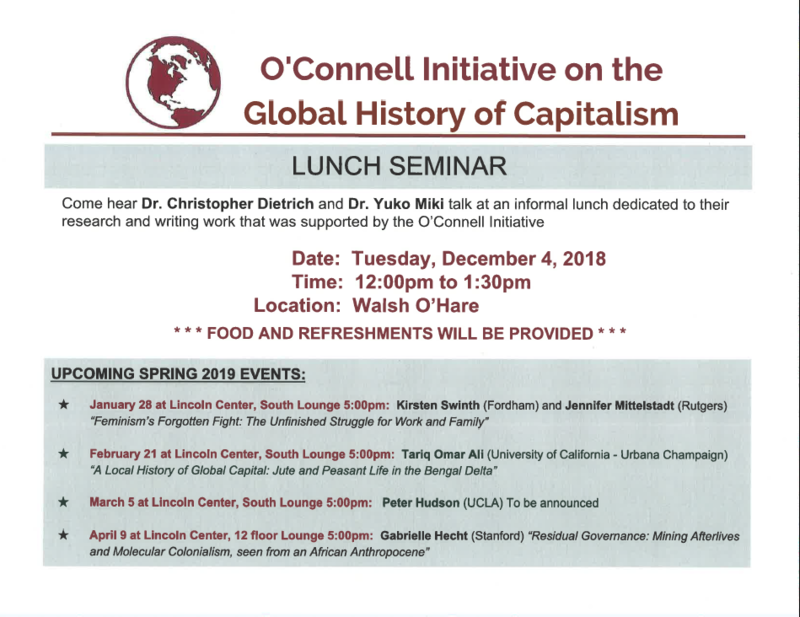 On Tuesday, December 4th, graduate students and faculty members gathered to listen to Dr. Yuko Miki and Dr. Christopher Dietrich speak about their research funded by the O’Connell Initiative. 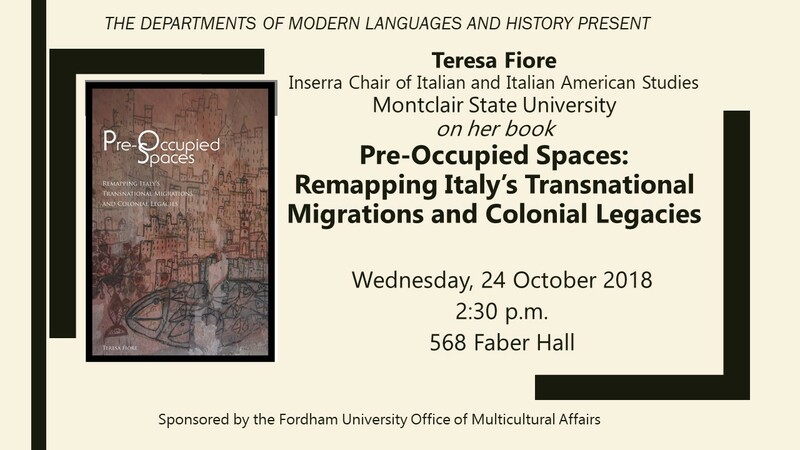 On October 24th, the History Department, along with the Modern Language Department hosted Dr. Teresa Fiore, author of Pre -Occupied Spaces: Remapping Italy’s Transnational Ligations and Colonial Legacies (Fordham University Press, 2017) to speak about Italy’s history of emigration to all continents of the world, as well as its recent history of immigrants coming to Italy. 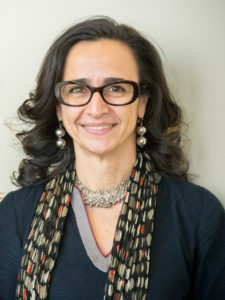 Dr. Fiore is the Inserra Chair in Italian and Italian American Studies at Montclair State University. She is an expert in migration studies from a socio-cultural perspective. In particular, she focuses on immigration to Italy and the worldwide Italian diaspora. Her recent book, as well as her talk, emphasized an interdisciplinary approach to research and cultural analysis. Dr. Fiore’s focus on socioeconomic contexts and cultural texts demonstrate the ways in which Italy is presently ‘pre-occupied’ with its past emigration, as well as colonialism. Dr. Fiore spoke to a room full of captivated students about how “the contemplative understanding of Italian civilization cannot be understood without the rigorous reconsideration of the inflation of its outbound and inbound migrations, as well as its colonialism and imperialism.” From early Italian diaspora to recent demographic stagnation, her presentation linked Italy’s long history of movement. Comments Off on O’Connell Initiative Lunch! 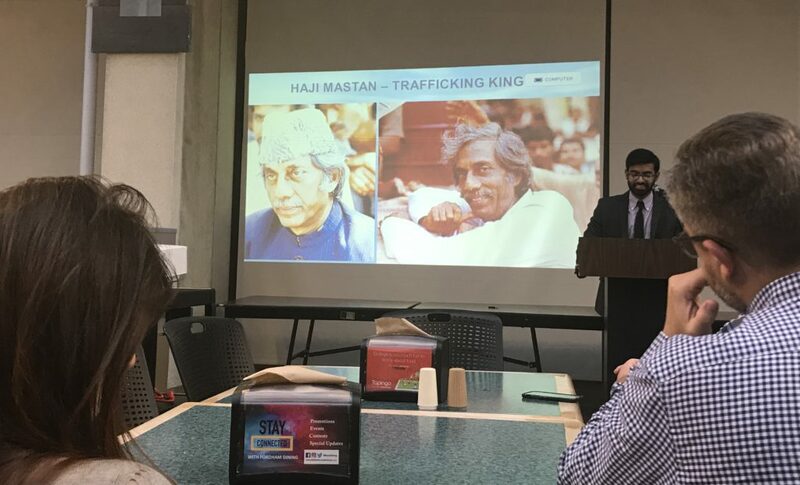 On October 17th, Dr. Johan Mathew, Assistant Professor of History at Rutgers University gave a talk at Fordham’s Lincoln Center campus based on research from his prizewinning book, Margins of the Market: Trafficking and Capitalism Across the Arabian Sea (University of California Press, 2016). 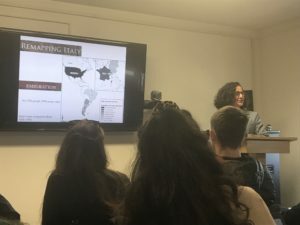 The talk, titled “Unveiling Money: Counterfeits, Arbitrage, and Finance across the Arabian Sea,” analyzed the influence trafficking and smuggling had on monetary policies across a region that included Africa, Asia, and the Middle East. Dr. Mathew spoke about his sources, explaining to his audience that trafficking creates detailed records of trade. This rich source of records includes contracts and family papers from ‘diasporic archives.’ Dr. Mathew explained how the nature of money was changed by merchant networks, by the multiplicity of them and the instability within them. In his lecture, Dr. Mathew defined ‘capitalism’ as a loose system of analysis that covers free labor, private property, and monetary exchange. Teresa Fiore visits from Montclair State University This Wednesday! Comments Off on Teresa Fiore visits from Montclair State University This Wednesday! 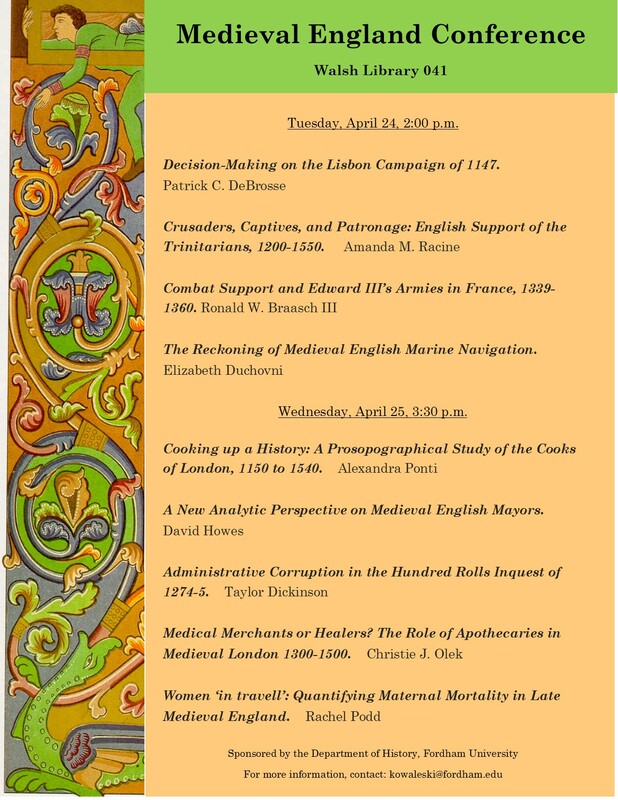 Medieval England Conference at Fordham! 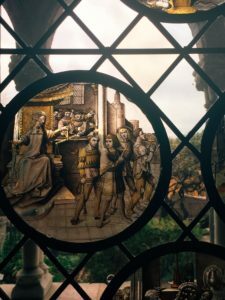 Comments Off on Medieval England Conference at Fordham!